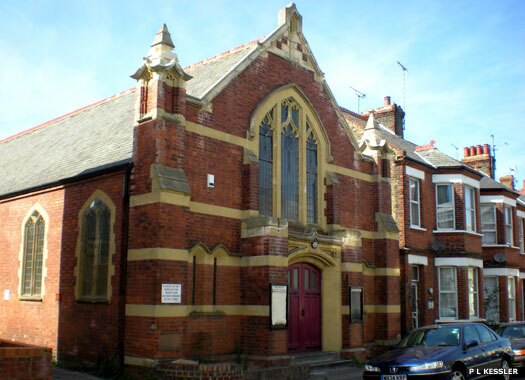 Northumberland Gospel Hall is on the northern side of Northdown Road in Cliftonville, midway between Zion Place and Ethelbert Road. The Society of Friends meet at the Drapers Almshouses, St Peters Road, but services are also held at the Brethrens Meeting House, the Dane Room, Dane Road, and at Northumberland Hall (which is an Open Brethren meeting house). 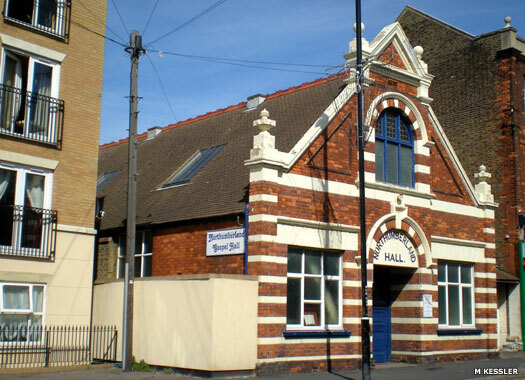 As well as offering regular services, the hall also serves as a toddler group venue. Rehoboth Baptist Church lies just around the corner from Northumberland Hall, on the western side of Ethelbert Road. This church was founded by Strict Baptists, with 'Rehoboth' coming from a story in the book of Genesis. A stone was laid to commemorate the building's construction by Mr J B Collin on 19 March 1914. The architects for the project were George Baines & Son of London. Today the church is still in use, but has clearly seen better days. St Michael and St Bishoy Coptic Orthodox Church is further east on Northdown Road, on the eastern side of the junction with Dalby Road. The building began life as St Stephen's Methodist Church in 1878, built in the early French Gothic style and in the form of a Greek cross. 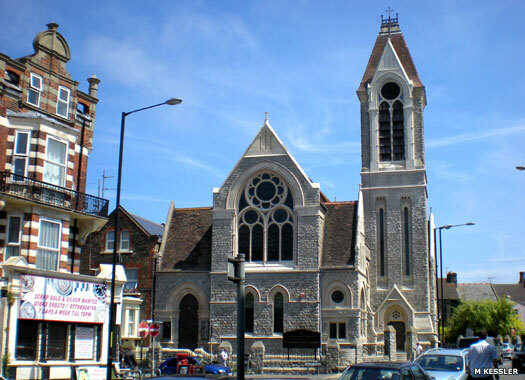 It is now considered to be the finest nineteenth century building in Cliftonville or Margate. The Methodist church eventually closed down and the building passed to the Coptic Orthodox Patriarchate. The Egyptian Coptic church dates back to the first century AD and is probably the world's oldest Christian church organisation. On 14 August 1999, Pope Shenouda consecrated the two altars of the newly acquired church and dedicated them to Archangel Michael and Saint Bishoy. Reverend Read from the Methodist Church also attended the ceremony. The building was fully renovated in 2009, aided by funding from English Heritage to help repair the tower roof, belfry and masonry. 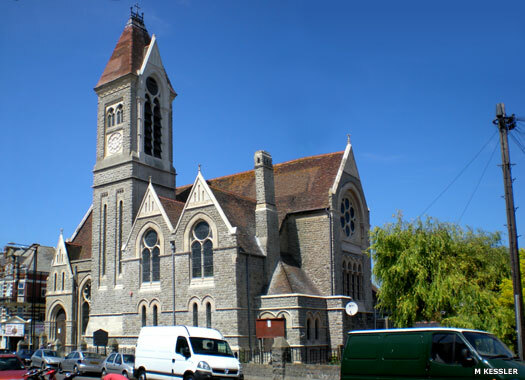 The Parish Church of St Paul is on the next block east from the Coptic church on Northdown Road, with Arthur Road and Edgar Road heading northwards on either side of it. St Paul's was built as the 'daughter' church of nearby Holy Trinity (lost in 1956). 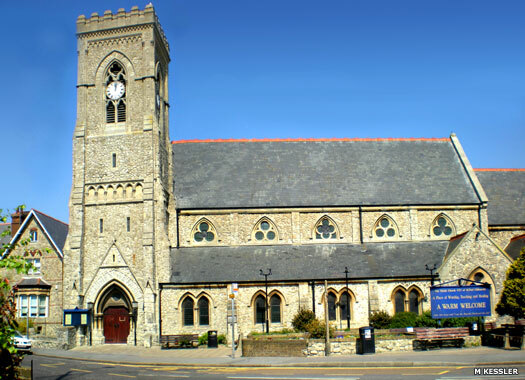 In the early 1870s it was found that the increasing population of the eastern sections of Margate needed a church of its own. Paved streets had been laid down and houses had been built in the new neighbourhood. 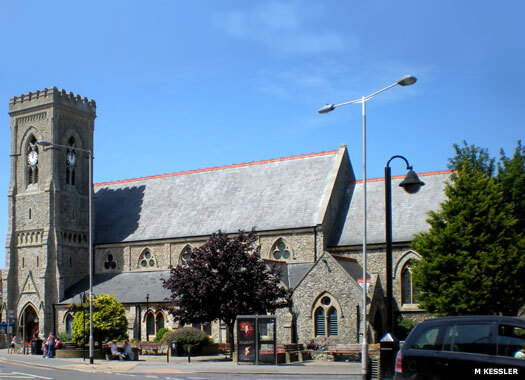 The area became known as Cliftonville, and in 1872, two wealthy benefactors made a gift of land for the building of a church, and architect R K Bleasley of Eastbourne was appointed to oversee the project. 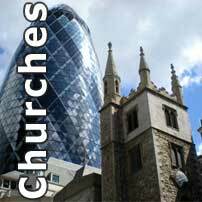 On 13 November 1873 the church was consecrated, although apparently without its tower, which was built by 1897, at which point a single bell was fitted together with a clock. Like all others in the region, the church was closed during the second World War. Five photos on this page contributed by M Kessler.